The SMARTtill® Solution is the next generation in cash management, enabling retailers and hospitality providers to dramatically reduce cash losses, the cost of cash handling and associate productivity. The SMARTtill® Solution, integrated with your trusted business partner ecosystem, captures, in real time, every transaction and cash discrepancy in every register in every store, providing powerful analytics. 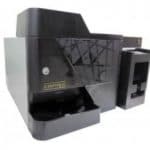 Designed for high performance in a wide range of retail verticals, the Cashlogy POS1000US Cash Recycler is a close loop, end to end solution which cuts cash management costs and enhances customer service. 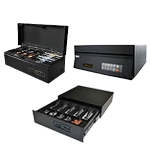 The Cashlogy POS1000US Cash Recycler enables direct payments with notes and coins thus eliminating reconciliation errors, shrinkage and minimizing the potential of theft. Supports USD currency only.